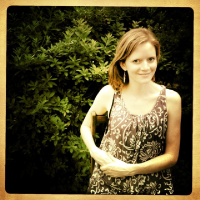 Atlanta-based Rachel Joy is a freelance writer and editor as well as a single mom to a beautiful little girl who is now school-aged. This book is her debut as an author, but she started her blog, Every Day’s Best in March of 2011. Here she combines the practical with the spiritual in the hope that these reflections will help another pilgrim along the way.